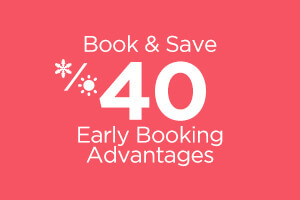 PAY ATTENTION TO A PRIVILEGED HOLIDAY IN BODRUM! DEEP BLUE NEVER GOES AWAY FROM YOUR HORIZONTAL LINE! WILL REFLECT ON EACH MOMENT OF YOU, TEMPT YOU! BOTH YOUR SOUL AND BODY ARE ALWAYS HEALTHY! JUST FOR ADULTS, IN THE MOST BEATIFUL BAY OF BODRUM! GASTRONOMY IS IN YOUR PLATE! Thor by Alkoçlar Exclusive Bodrum was built in a 16.000 m2 area in the popular place, Kaynar district of Torba. It is 6 km away from downtown, 2 km away from downtown of Torba and 25 km is away from Milas-Bodrum airport, it invites its guests to make them have a unique experience with natural beauties and the sea. 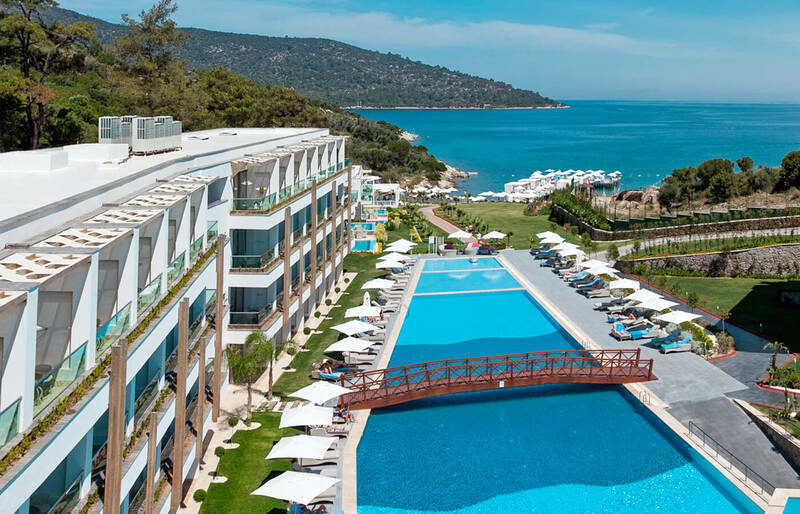 Thor Luxury Hotel has been providing service for 3 years in Torba is opening out the doors of a limitless holiday with Alkoçlar Service concept with the name of Thor By Alkoçlar Exclusive Bodrum. Our guests who would like to indulge themselves in an exclusive concept will get a chance to have an unforgettable experience. The hotel that provides service only adults will touch your soul, reflect on each moment of you by tempting you. IN THOR BY ALKOÇLAR BODRUM EXCLUSIVE WITH ITS ACTIVITIES? You are going to forget all tiredness and stress of the year! In Spa center that provides service within Thor By Alkoçlar Exclusive Bodrum, steam room, broad closed swimming pool, VIP spa rooms and sauna are available for you. Massage and body and skin cares are presented to relax your skin, body and mind. Our guests can benefit from full-equipped fitness center, aqua gym, stretching, swimming, yoga and pilates with personalized health and fitness program. Meeting halls of Thor by Alkoçlar Exclusive Bodrum are waiting for you to enable you to make organizations like business meetings, conferences, launches, expositions, exhibition, cocktails, wedding and galas privilege and unforgettable for you! Thor by Alkoçlar Exclusive Bodrum that presents high level service with special location and structure having the necessary technical substructure, is going to be your true preference to make the event in your dream real.